ALACHUA COUNTY, FL. (THECOUNT) — Florida man, Marvin Hajos, has been identified as the victim killed after he was attacked and killed by his pet exotic bird in what the sheriff’s office deemed “a tragic accident,” WBTV reports. Hajos, 75, was near his pet cassowary when he fell, and the bird attacked, according to Alachua County Fire Rescue. 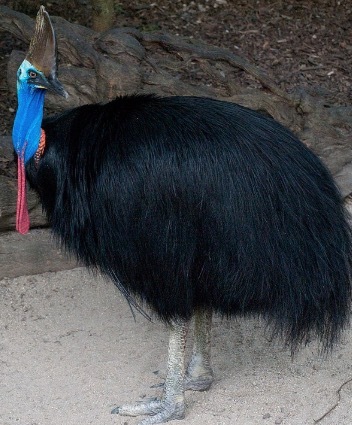 A cassowary is a 6-foot-tall flightless bird native to Australia and New Guinea. It has been called “the world’s most dangerous bird,” due to its 4-inch dagger-like claws and incredibly strong legs. State wildlife officials say the victim was breeding the birds, the Associated Press reports. The birds are sought after in the United States by collectors of exotic birds. Lieutenant Brett Rhodenizer with the Alachua County Sheriff’s Office says at this time, it seems the attack was “a tragic accident.” However, the investigation is ongoing. The bird remains secured on private property. It was not immediately known what would happen to it. Geo quick facts: Alachua County is a county in the U.S. state of Florida. As of the 2010 census, the population was 247,336. The county seat is Gainesville, the home of the University of Florida since 1906, when the campus opened with 106 students. 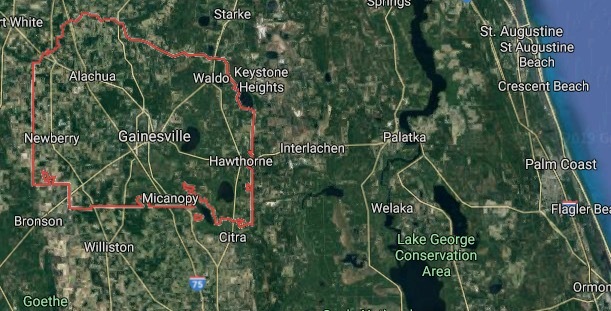 Alachua County is included in the Gainesville, FL Metropolitan Statistical Area – Wikipedia.